Meet the faces behind Ruby Olive, the current and past SUPERSTARS that make everything we do possible! Skye Anderton is RO’s Chief Dreamer. Her colourful imagination, thirst for travel, and passion for designing beautiful things gave wings to her dream, and in 2010, Ruby Olive the label was born! Skye’s been around the block a few times. She has over 14 years experience in the Fashion Accessory industry with eight of those years spent working in London as a designer, product developer and accessories buyer. As a result, Skye loves big red buses, has a soft spot for corgis and enjoys the odd glass of Pimms. Say hola to our fabulous Margarita, who packs your orders up in lightning speed with the utmost care and love. She's also the main face behind our emails and our online chat. If you ever need any help, advice, someone to chat to, or someone to bust a (virtual) dance move with... Margarita is your go-to girl! 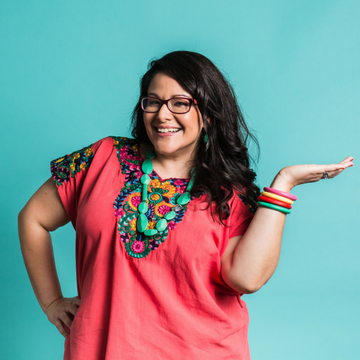 An endless source of entertainment and wisdom, Margarita adds a ray of sunshine to RO HQ each and everyday... we also can't get enough of the way she says "chorizo" and her hilarious stories of Kevin the house plant. Brittany is RO's superstar wing woman. No task is too big, too small or too techy for our Britt, as she recently graduated from her Bachelor of Business Management Majoring in eBusiness & Marketing. She's the face behind our social media, so you might've already spoken to her without realising! One of her most important jobs is keeping the chocolate and snack drawer fully stocked. Brittany is a pocket rocket full of hilarious voices and tiny sneezes, and has not yet been seen to finish a single cup of tea. PREVIOUS RO STARS | WHERE ARE THEY NOW? Michaela started as an intern with Ruby Olive in the early days (while Skye was still pregnant with her second bubba, Arley!) She quickly learned the ropes and become RO's absolute SUPERSTAR Dream Fulfilment Specialist. Michaela has recently had her poetry published for the first time in Eyebag Magazine Issue Two. She is in prep mode to make the long-awaited move to Melbourne in the next few months, where she'll be going back to university to study a new Undergraduate Degree. She is still making jewellery in her spare time. Cara and Skye went to university together back in...ahem...should we say...late 1990’s/early 2000 (gulp!) Cara’s expertise is in the sales and marketing arena and so came on board supporting RO in the PR, Marketing and Sales areas. Cara seems to know absolutely everyone and is an ideas woman, making for a super fun and dynamic office environment. Cara puts together simply amazing events and can pull together an awesome night at a moment’s notice. She currently works as the Marketing Manager for a national clothing label. When Skye got married, which was 1 month after she launched RO, she had an AMAZING photographer called Luisa. Luisa hadn’t done fashion style photography before BUT Skye didn’t care as she LOVED Luisa’s ‘fly on the wall’ style of photography. Luisa went on to shoot all of Ruby Olive campaigns for the first few years until a studio came into the mix. We still LOVE our shots that Luisa created for us in those early days and Luisa still photographs Skye’s family at big events and gatherings. Luisa and Skye to this day still remain beautiful friends. When we needed a Christmas casual back in 2012, Sam invited her friend, the fabulous Megan to come and join our team. Megan had just finished her architecture degree and was looking for a job for just a few months. Very quickly though, she became a super important part of the team and her attention to detail, cleverness and creativity certainly didn’t go unnoticed. Megan stayed for almost 2 years and during that time she realised she didn’t want to work in the Architecture industry, instead she decided to moved to Melbourne to study furniture design. Megan currently works as a furniture designer at a leading Australian furniture design company. The super positive and vibrant Sam started off as Ruby Olive’s first intern, and impressed Skye so much that she was offered a part-time job within a few weeks and ended up staying for almost 2years. She did everything from customer management, social media and marketing to picking and packing orders. Sam went on to work full-time at a leading Brisbane Creative agency, Gilimbaa, which is also run by one of Skye’s friends, Mandy Lear, who took Sam’s skills, passion and knowledge to the next level. 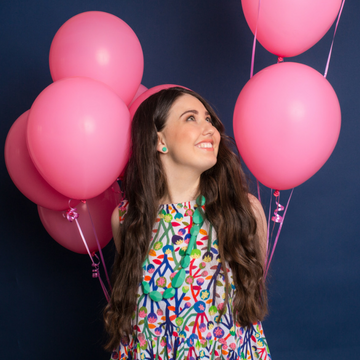 Sam then started a sustainably sourced blanket label with her sister called Seljak brand and has featured in numerous magazines and blogs such as Peppermint Magazine. Sam currently lives in Norway and is studying a Masters in Sustainability. The edgy and oh so lovely Kate started working with RO on Graphics a few days a week after she graduated from college. Kate is a ‘jack, or should I say Jill, of all trades’. She’s a very talented hair and makeup artist, has a wicked sense of humour and amazing with customers. Mum of two adorable kids, Kate went on to work in the marketing and graphics department at a well known corporate head office and now works in a high end skin artistry studio. The lovely Ruby, with a smile as big as her personality came on board a few days a week to help with RO’s public relations, social media and all things customer support. With an infectious level of drive and full of energy, Ruby wanted to help build the brand down the Gold Coast so started to take the product to events and markets in her own neighbourhood. Like a beautiful bird wanting to fly, Ruby moved to Dubai on a crazy whim and had a bit of an adventure working on a fashion magazine. When she returned she bought a cafe, built that up and then sold it. She currently lives in Sydney and works in a super cool public relations agency. The gorgeous Jacinta was RO’s first employee and first ever model (she wasn’t actually a model, she just got thrown in the deep end - thanks for being a little trooper Jacinta). She would help out a few days a week when Skye’s first bub, Levi was born. Her office was in one of Skye’s front bedrooms and helped with EVERYTHING from packing and book-keeping to minding Levi while Skye was on the phone with customers. Jacinta was a pretty special netball player and went on to play for Queensland’s state team, the Firebirds. She’s also had a stint playing professional netball in New Zealand. She still plays netball, is still a powerhouse on the court but now prefers playing for the love of it. She now works in the marketing department at Brisbane Airport Corporation and recently got married to the love of her life.